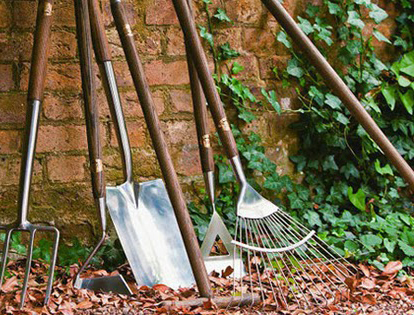 Give garden tools some TLC so that they are ready to go as you need them. Your tools work hard for you all year – and they’ll continue to do so if you spend time now to return them to tip-top condition. Sand down the shafts of forks, spades and rakes with fine-grade sandpaper, then rub furniture oil into the wood. Sharpen blades with a whetstone before storing in a dry shed, or take them along to Lawncare who have a shear sharpening service. Make sure you book your lawn mower in for a service, contact your local dealer, Lawncare Garden Machinery and see when you can take your lawnmower in to them so they can carry out the work. They are already very busy with those customers that got ahead of the game by booking their service work in at the end of last year, so don’t delay call and book today. 01491 836060 or email sales@lawncaregm.co.uk.